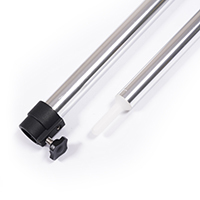 These adjustable support poles are specially designed for boat mooring covers. 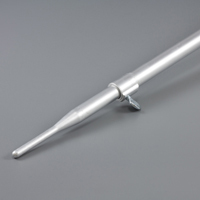 The mooring poles are available with swedge, snap stud, and rubber crutch tips, depending on the desired placement. 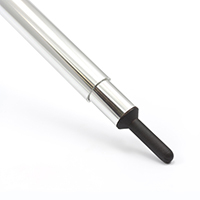 Made from aluminum, these mooring cover poles bring an ideal blend of lightweight stability. 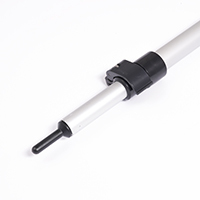 The boat mooring poles are easy to install and built to last. Choose from Cam-Lock and thumbscrew locking options in multiple sizes below. To complete the entire project, pair with fabric made for mooring covers and a high-quality boat vent. 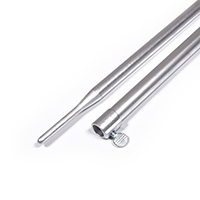 Mooring Pole with Thumb Screw #730 Aluminum 5'-10"
Mooring Pole with Snap and Swedge Tip #X47A-2TIP 47"
Mooring Pole with Snap and Swedge Tip #X59A-2TIP 59"
Mooring Pole with Snap and Swedge Tip #X70A-2TIP 70"